Drs. Stephanie Bridwell and Jennifer Lane are bringing their magic together to create a gorgeous Beltane weekend of Soulful Awakening and Deep Connection. Read more about the energies of this potent time of the year HERE. Mt Shasta will host us, so you KNOW magic is bound to ignite. This retreat is limited to 13 women, so please register SOON! Bring a dream, journal, and mug for Mugwort Tea, provided by Fettle Botanic. An alignment-based flow practice to nourish the body and soul at The Yoga Lab. Align with the creativity and magic of this season. Welcome the joy of summer and power of the Sun. Join us for a Beltane celebration and Moon Circle on the Scorpio Full Moon! Align with the beautiful sensuality and creativity of this season. Join us on the Aries New Moon as we prepare our bodies and hearts for Beltane! Join Jennifer, Edwina & Lydia for this Blissful journey through Sound Healing & Yoga Ceremony! Lydia and I will be guiding a very special meditation on the evening of the waxing Blue Moon in Libra. Blue Moons are rare and potent events. Libra is the sign of the scales, helping us to embody peace, harmony and balance. This event will be hosted at a private residence in San Mateo and there are limited spaces available. $20 donation. Join Jennifer Lane, Edwina Ferro and Lydia Hwang for this IM Perfect journey of Sound Healing and Yoga Ceremony. Dream Temples are sacred circles for sharing and exploring dreams in community....bring a Dream and a spirit of curiosity! I invite you to join me (and Taliesin) in a sacred circle to celebrate Imbolc. As Imbolc - the celebration of Spring's emergence - nears, it may feel as if Winter is deepening rather than lightening. But remember, the darkest, coldest part of the night is just moments before first light. I will be 36 weeks pregnant and this will be my last class before entering the birth portal! The magical three are coming together again to Shower You With Love! Sound healing with Lydia, Sweet Yoga and Meditation with Edwina and Jennifer. Jennifer will be 35 weeks pregnant and instead of having a Baby Shower for herself, wants to shower you with the love of yoga and sacred healing sounds. Come join us for an afternoon to delight your spirit with love and good vibes. This is open to all levels of practice. Donation based: $45 and up! If you cannot come, but would like to contribute to Baby Boy Lane and family, we welcome you to PayPal friends/family to jennifermarielane@gmail.com. Also take a look at our BabyLane page here! Join dream priestesses Kelley Ingols and Dr. Jennifer Marie Lane for a rare and joyous opportunity to tap into dreams and sacred circle. Kelley and Jennifer have been journeying together for over 3 years on the Awakening Avalon Path, and are so pleased to share the beauty and magic of dreamtime with you. This will be a wonderful treat to come together in wisdom and ritual. Suggested donation: $30, includes tea and treats. An exploration into the healing power of connection and how to cultivate those relationships with your clients/students. 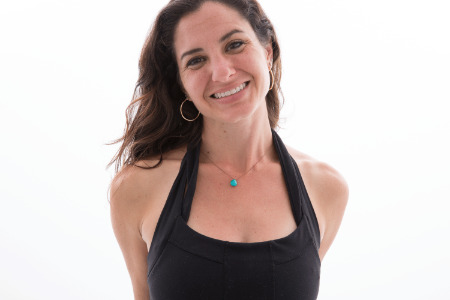 50 hours Yoga Alliance Continuing Education Advanced Teacher Training, co-led by Meg McCraken and Jennifer Lane.